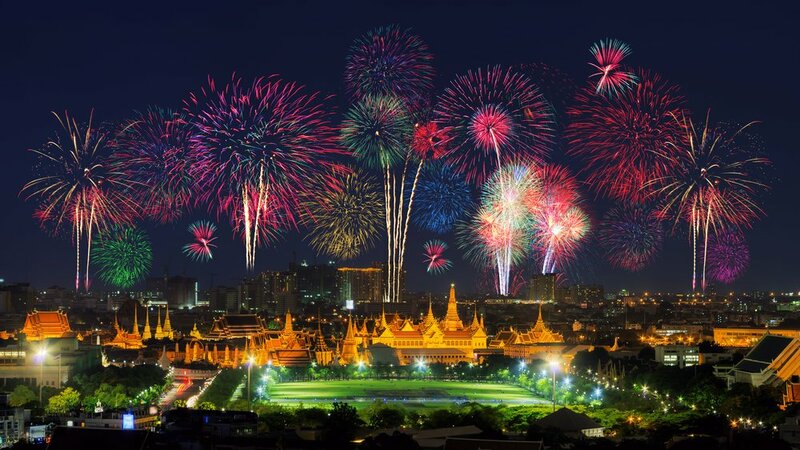 For family fun, most head to the plaza outside Central World in the Siam district where there’s live music, pop-up beer gardens and, at midnight, a giant firework display. Alternatively, there’s Asiatique riverside mall for sedate kid-friendly fun. To see in the New Year in style, most of the big hotels hold stylish parties with champagne and a gala dinner. The trendy bars of Thong Lo and Sukhumvit all lay on some sort of shindig, often with a theme and while –unlike at the hotels – it’s not usually necessary to book, there’s usually a cover charge you should be prepared to queue. If you can, it’s nice to make it to a rooftop venue to see the fireworks lighting up the town at midnight – try Above Eleven on Sukhumvit Soi 11 for some fun with a view. Alternatively, for something a little more underground, the pulsing clubs of Khao San road and RCA offer some down and dirty options while Sois Cowboy and Patpong are – despite their seedy reputations – good for a laugh on New Year’s eve; no need to go inside any of the dens that line the street, the Soi itself is where the party is. 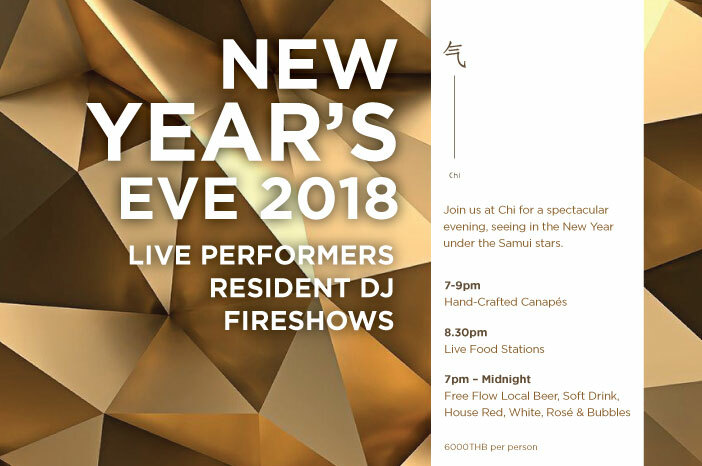 While the “official” New Year’s celebrations on Phuket take place in Phuket town and Patong Beach, come 31st December, you can find a party almost anywhere on the island. In Phuket town, things kick off on 29th December for a three day countdown event including light shows, concerts, competitions and lots of food, all culminating in a firework display at midnight on the 31st and Patong Beach gets completely blocked off for a two-day music festival from a massive floating stage. Meanwhile, the top hotels throughout the island host gala dinners onsite, Karon Beach attracts the big name DJs, Surin takes care of the elaborate seafood dinner and O2 Beach Club on Ao Chalong incorporates both dinner and dancing. 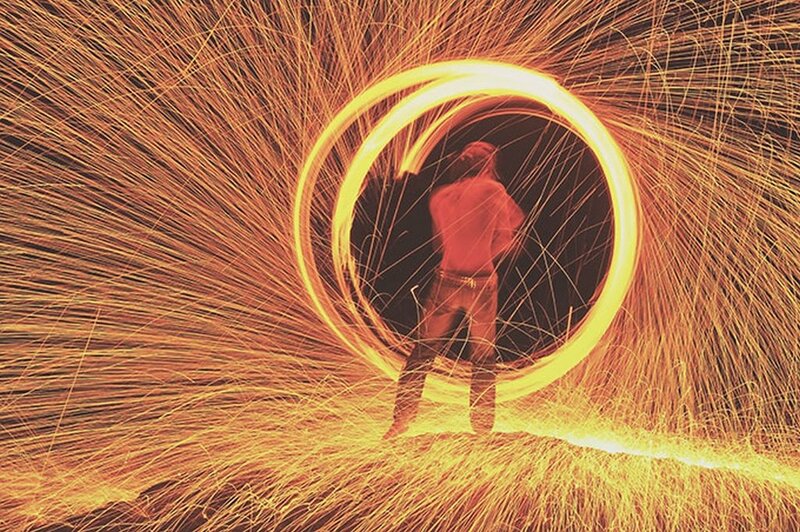 Chiang Mai’s a great destination for a little tradition and culture weaved into the revels. On the east side of town, where lots of the hotels are located, the night market comes alive and, nearby on the east bank of the Ping River, the city’s renowned music venues host great parties with bands a singers of all genres, from pop and rock to jazz and classic Thai folk. Things get especially festive in the local bars on Thanon Ratwithi, Thanon Moon Muana, and Thanon Nimmanhemin. For something a little more elegant, try the Riverside restaurant where you can enjoy a romantic candlelit dinner on the bank or take a river cruise. Alternatively, head into the heart of the city and join the party spilling out of the city’s most famous nightlight spots into Loi Kroh Road. Whatever location you choose, the locals will urge you to get into the traditional spirit by enjoying a bowl of Khao Soi, getting yourself a decorative Bo Sang umbrella and, at midnight, release a Chinese lantern into the sky. So, fancy spending New Year in Thailand? We don’t blame you. Get in touch to plan your festive holiday.